Our large boutique store stocks a selection of up to 150 dresses from the latest bridal collections by the finest and most renowned designers in the world. Our in-store samples range from UK size 8 – 26 and cover a wide range of shapes and fabrics from fashion forward backless wedding gowns, unique A-line shapes to vintage inspired sleek organic silk gowns and romantic tulle dresses. Our aim is to provide luxurious gowns at affordable prices, ranging from £799 – £2500. Here is a small selection of gowns we stock at Blush Boutique. 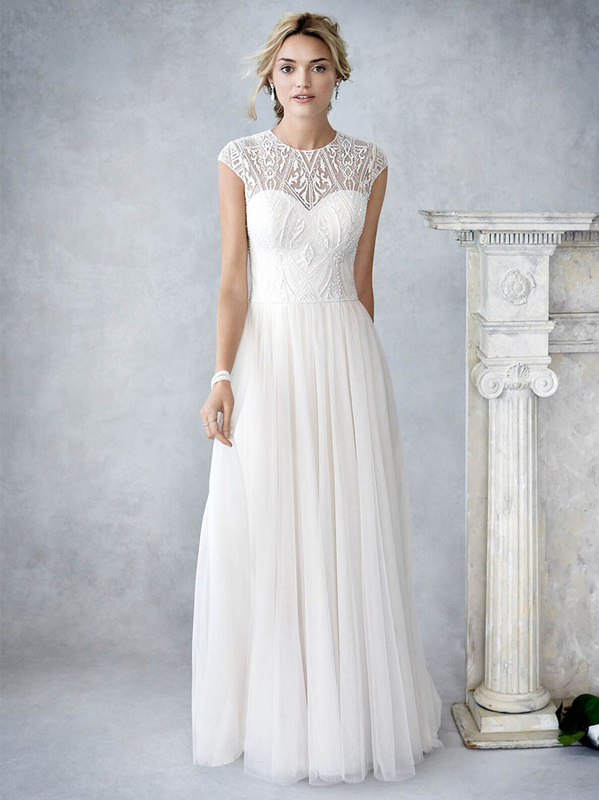 To view the full range of gowns please book an appointment on 01457 829800.